Hey guys, a picture, they say, speaks a thousand words… so I’ll let the clicks do the talking in this one about the outstanding initiative undertaken by citizens’ group I am Gurgaon, in collaboration with the government and a host of corporates (as part of their CSR), to work towards a greener Gurgaon. The star of the show: The Bio Diversity Park (BDP) at Guru Dronacharya Metro Station, is already a shining example of how natural resources and green spaces can be revived and preserved with a little effort and dedication from conscientious citizens. The planting of native species over the years has borne fruit and BDP today is a lush sanctuary of flora and fauna, a haven for pleasant morning walks, photography, picnics, birding and every once in a while superlative cultural evenings like Sufi Nights and Classical Soirees. 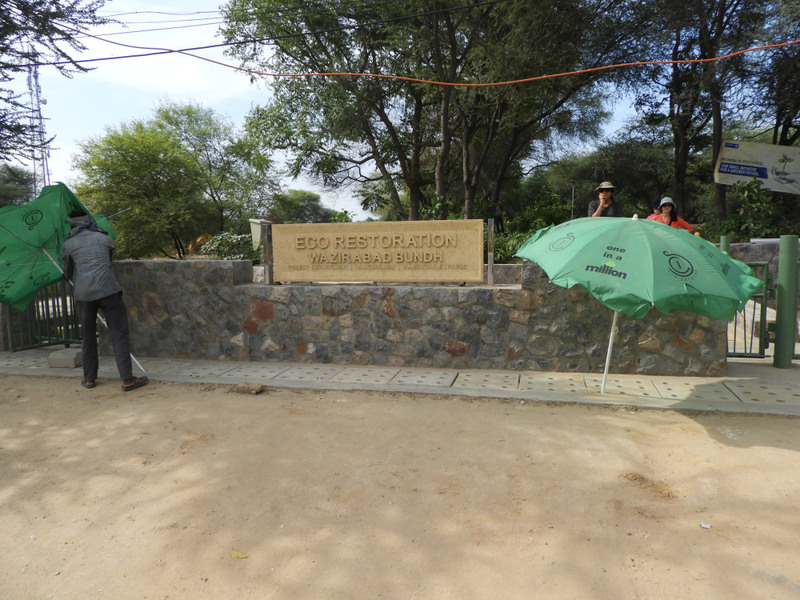 The latest in the series of green initiatives, is the Eco Restoration of The Wazirabad Bundh. Not too long ago this once green belt, bang in the middle of the flourishing metropolis, was a stinking dump of garbage and sewage threatening to spill over into the nearby residential areas triggering an “infrastructural disaster” of sorts. Today, however, the scene is very different! 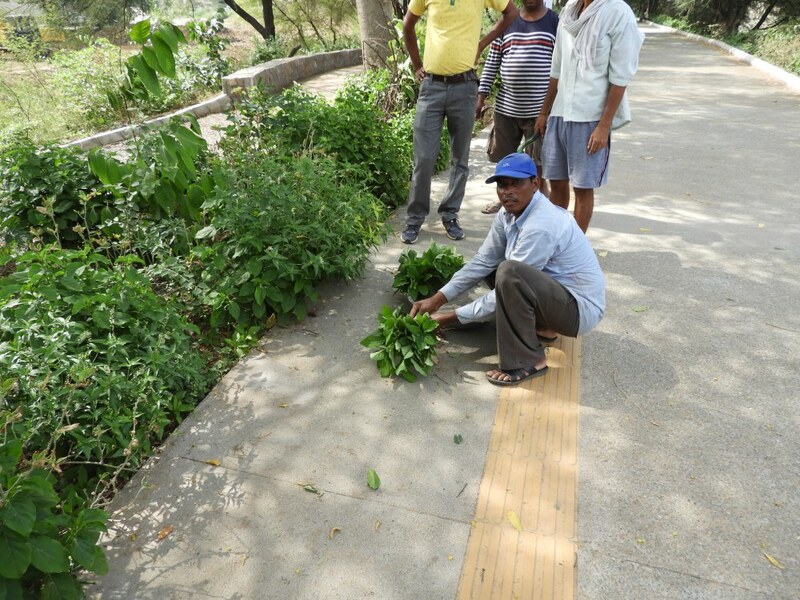 In one year itself, the area has gone from utter neglect to dedicated care….. garbage dump to a clean, green walkway… ecological tragedy to an oasis for a huge variety of birds – a surefire indicator of a salubrious living environment. This is where it all started last year. Looks unbelievably neat and clean today doesn’t it? The verdant foliage behind the earthy plaque proof of all the hard work that paid off. The Earth day slogan of “planting a million trees” found healthy resonance in the eco-restoration movement here and hundreds of native saplings, including – Barleria, Pahadi Papdi, Hins, Adusa, Dhak, Goya Khair – were planted along the cemented walkway and the bundh slopes by young and old, school kids and MNC execs, volunteers and officials alike. The plastic-choked nala is still a grim reminder of the non-so-distant past, but with every step taken towards cleaning and rejuvenating the 5.2 km area, the ill-effects of pollution and ground-water contamination are reducing. The cool breeze that blows here throughout the day and the near absence of noxious fumes are further signs of a job well done. 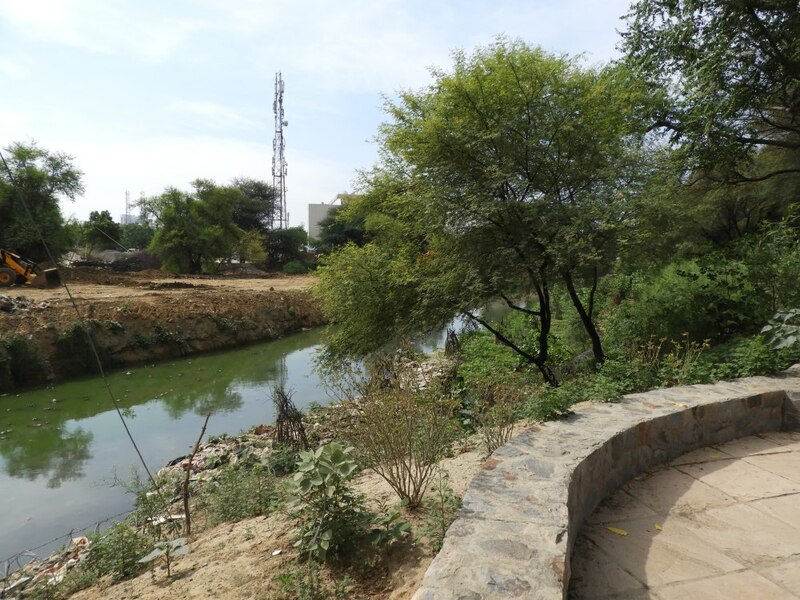 The ultimate goal is to develop a flourishing city forest that in turn, gradually, acts as Gurgaon’s “green lungs” while simultaneously recharging ground water. Dedicated I am Gurgaon volunteers, from all walks of life, make it a point to be part of the regular “plantation drives” that usually start with the onset of the monsoon season, making this PPP (Public Private Partnership) initiative a roaring success. For the volunteer too, it is a wonderful opportunity to contribute to a worthy social cause and to meet like-minded individuals. A great way to form new friendships and to widen your learning curve. For it’s not just planting, I am Gurgaon is also an ideal platform to spread awareness about lots of related issues like saying no to plastic, the BYOB aka Bring Your Own Bag Campaign, Save Water Initiative and things like Composting and Garbage recycling. It’s all inter-connected and together, we can all make a difference! 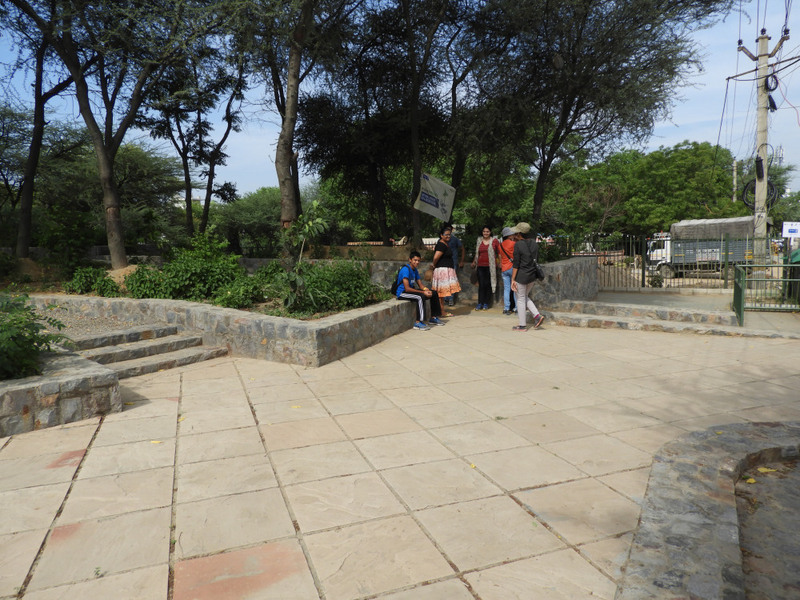 The neat rows of trees and shrubs, proper cemented paths, clear cut cycling tracks, solar-powered lights, permeable pavings for water percolation, handy garbage bins at regular intervals and even tactile paving for the visually impaired, along with convenient ramps for people using wheelchairs, strollers, walkers and crutches, plus specially designed entry/exit gates show that a lot of thought has gone into the designing of this non-motorized green stretch. Last monsoon, this was an area full of invasive thorny vegetation and an open defecation ground – misused and inaccessible. This monsoon, the magical transformation is there for all to see and experience. 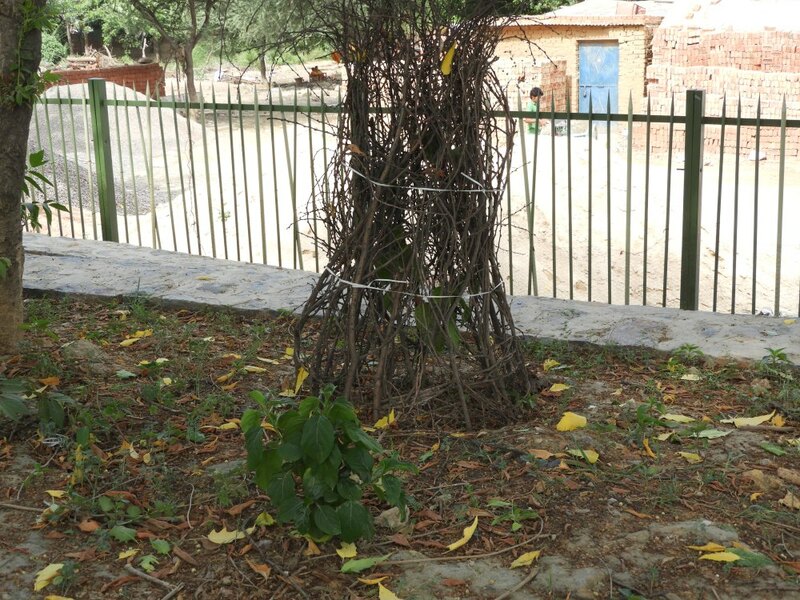 In the loving care of the I am Gurgoan malis, last year’s saplings have multiplied manifold and are generating fresh saplings of their own for re-plantation, as obvious in the pic above. The eco-corridor opposite Paras Hospital, in fact, has seating plazas for people to relax under the shade of indigenous species, now bustling with bird song. 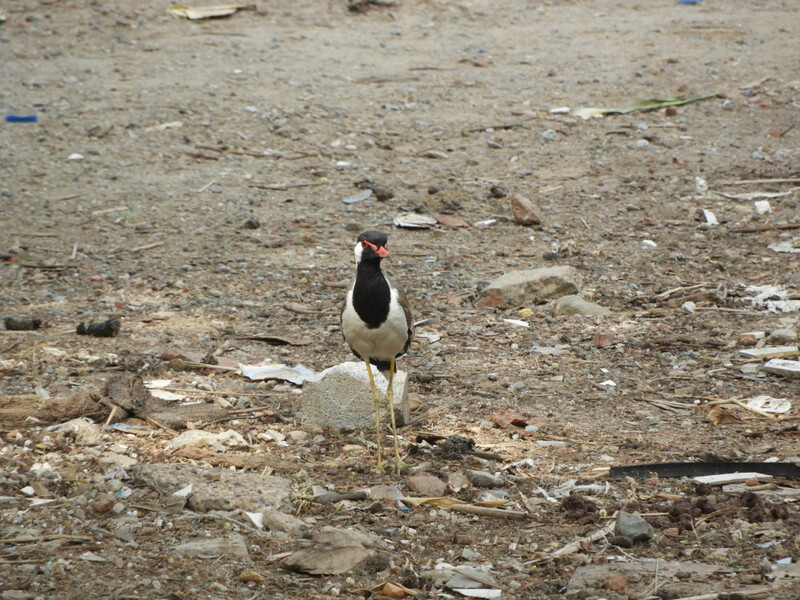 The growth of the bird population is a very good sign, and we have more and more sightings now of – House Sparrows, Red Vented Bulbuls, Rufous Tree Pies, White-Breasted Kingfishers, Red Wattled Lapwings, Crowns, Pigeons, Ducks, Herons, Mynas and Tailor Birds, to name a few. This despite the fact that thousands of pedestrians already use the pleasant stretch to commute within the city. Throwing light on peaceful co-existence of species in conducive environments. The effort to use eco-friendly, non-invasive, bio-degradable means to develop this bundh, on the lines of the High Line Park in New York, ensures that the message of environment sensitivity goes around loud and clear. 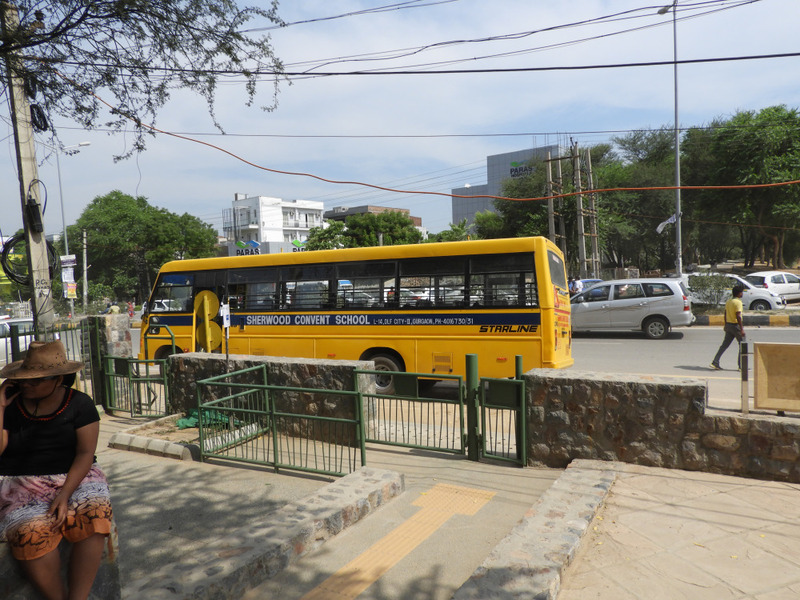 Right from the economical fence design to the reduced use of concrete and the recycling of materials, the project has made use of sustainable and cost effective measures to provide the people of Gurgaon a universally accessible mode of mobility. Now it is up to the citizens of the Millennium City to look after its resources and protect, participate and propagate the sense of ownership. Only then will all the effort be worthwhile. 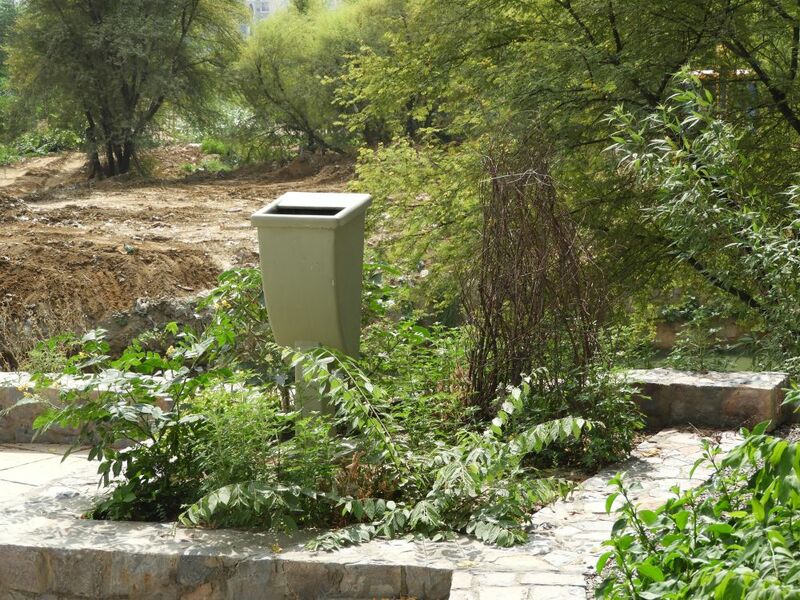 Cases of vandalism in the Bio Diversity Park, where garbage bins (such as the one in the pic) and specially designed benches have been mindlessly destroyed time and again in the recent past, dampen the spirits a bit. More so because the hooligans escape scot free despite wide media coverage of their ill-deeds. So the proper preservation of all the hard work is equally important, and the onus lies squarely on our shoulders – yours and mine. This is OUR environment and WE are its saviours. Working on those lines, an enthusiastic bunch of middle-schoolers from Delhi Public School, Pataudi joined a group of I am Gurgaon volunteers on 28th July ’17 to plant saplings for a better, greener future! From 9 am to 11 am, the kids learnt about the basic technique of planting a sapling, some of the local and biological names of native plants, their place in the eco-system and the whole idea behind the eco-restoration process, starting from how things were in the past and how things will be in the near future. The single-minded dedication with which the students got on with the job, showed that the message had indeed gone across nicely and the seeds of change had been planted!! 2 Responses to "Go Green People with I am Gurgaon… By Gunjan Pant Pande"
Excellent and very laudable effort. All the users must ensure its cleanliness..
A small stretch near super mart II has not been covered yet. When is it likely ? Are there any issues ? 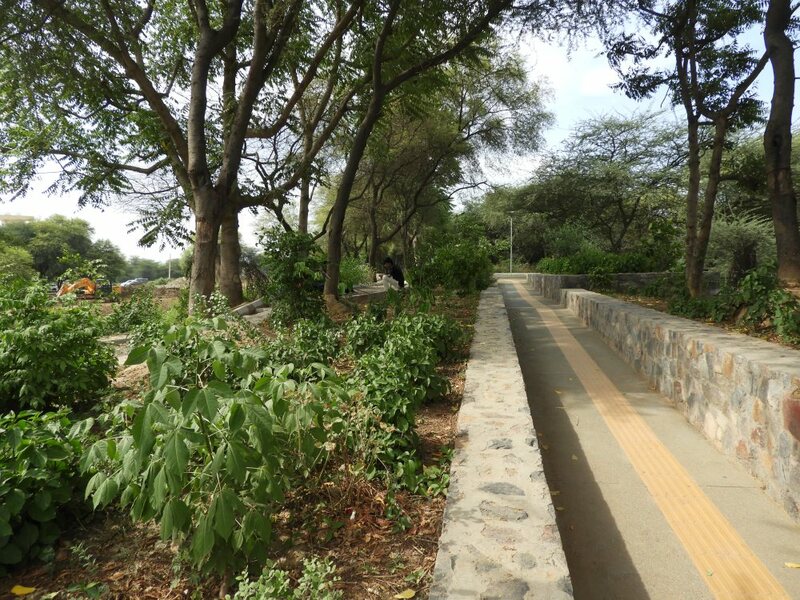 I am a resident of Regency Park-1 DLF Phase-IV and have started using the Wazirabad Bund restoration walkway- a superb initiative. However, I am pained to see that people have started littering – not sure how long it will be cleaned by contract staff deputed.